Earlier this year I had the opportunity to review the Pixie Bluetooth trackers. At the time, I felt it may be the best Bluetooth tracker implementation we've seen yet. I have used both the Trackr and Tile tags and always felt underwhelmed by their offerings. Both companies, however, have stepped up their game with various new offerings and vast improvements to their services which may have put them into a higher class than what Pixie was offering. The Pixie implementation added an augmented reality (AR) elemtent to their devices. This can be achieved thanks to their point to point tracker system which uses a Pixie tracker on your iPhone or iPad and another tracker affixed to your keys, wallet, kids, etc. Any edge that the competition may have made over Pixie, as mentioned above is no longer a problem, thanks to Apples ARkit which is a part of iOS 11. Pixie is pushing their technology even further with a pretty significant update, easily putting it back on top of the LoT (location of things) market. Pixie is over in Germany at IFA, and have announced that their new version of the Pixie app will "astound users with floating 3D AR avatars that show and guide them to misplaced objects." 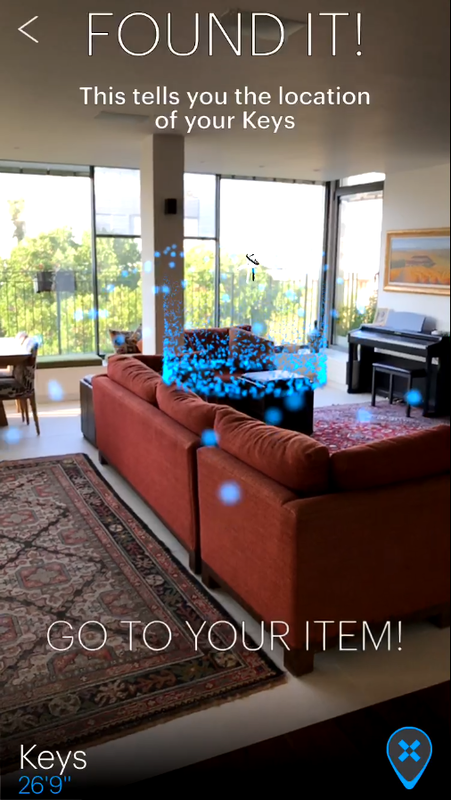 Apple's ARkit functionality has lots of promise, and Pixie has made sure that they were one of the first companies to find implement a practical everyday use for the new feature. The most visible new feature of the Pixie app will be the floating avatar of your lost item hovering over the location of the item as you approach. Here are the rest of the changes, as per Pixie. As mentioned, this new technology is tied to the release of iOS 11. Once Apple releases the update and your iOS device is updated this new functionality will be added automatically to existing Pixie users. What makes this even better, is that this new functionality is completely software based, meaning your current Pxiei Points will work with the new ARkit enabled app. Check out the new Pixie app in action below! It is great to see a company like Pixie jump at the chance to improve their product offering with ARkit. The question for me now though, is with the announcement of ARCore from Google, will we finally see the Pixie app come to Android devices?